Thank you for stopping by today for our "Halloween" Showcase. We would like to share a few projects that have been submitted this week that were eerily fantastic. We hope you will enjoy the spooky projects too. Thanks for sharing! Your projects are treats and there are no tricks about it! 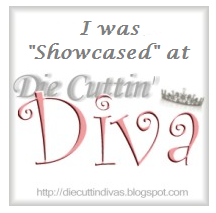 Be sure to grab our Die Cuttin' Diva badge and display it proudly. Remember, you still have a few more days that you may enter this challenge. Thank you so much for "Show Casing" my HM Halloween creation very honoured .. 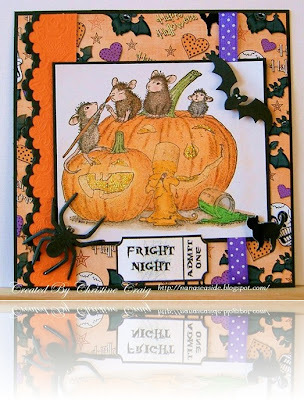 Thank you for show casing my "Spooky" card. You just made my day!! Wow! Thank you so much for showcasing my card!! That was such great news to wake up to!